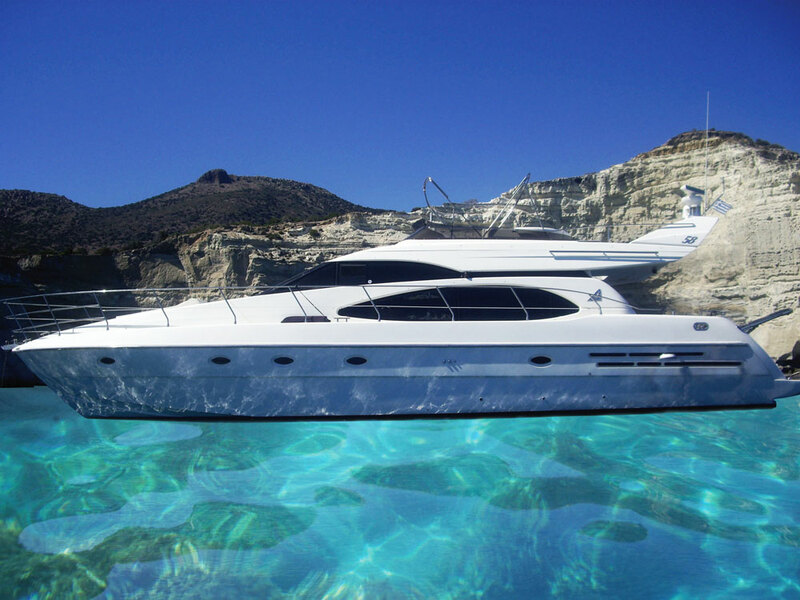 Motor yacht AVENTURA II was delivered by the Italian shipyard Azimut in 2000 and was last refitted in 2016. 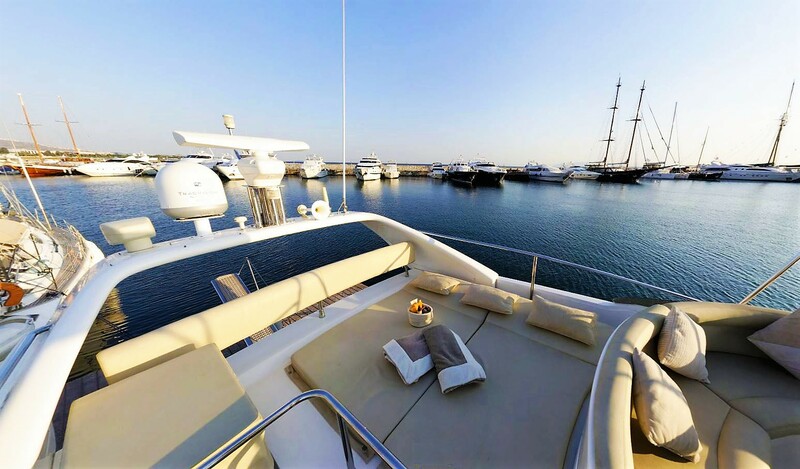 Measuring 17.6m (58ft), AVENTURA II accommodates up to 6 charter guests, offering deluxe crewed yacht charters in the Eastern Mediterranean. 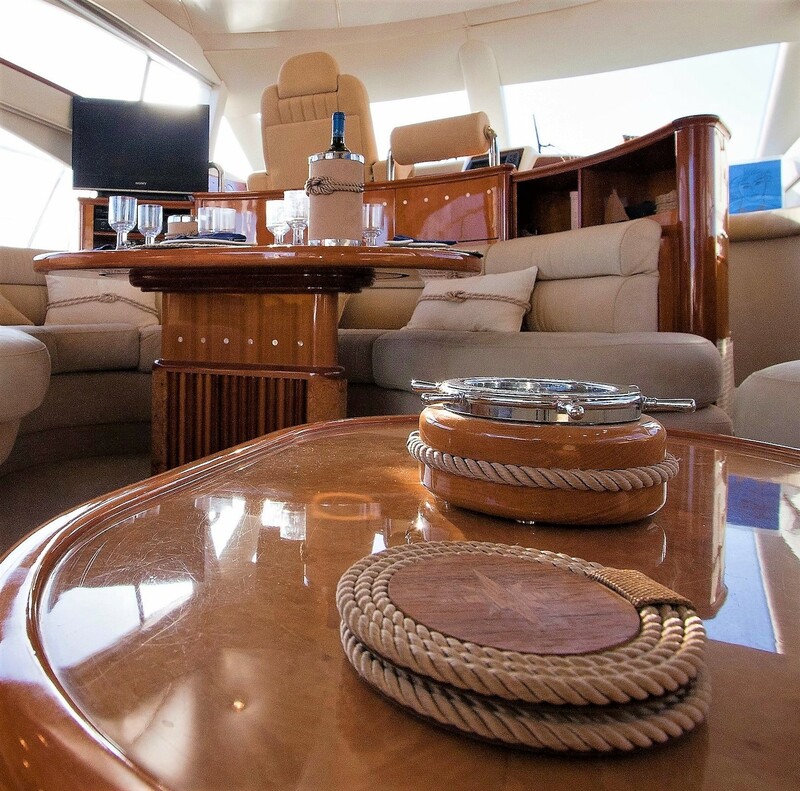 The interior décor aboard the M/Y AVENTURA II is contemporary and light, featuring a harmonious combination of fine woods, leather soft furnishings and ample natural light, creating a spacious and welcome ambience. 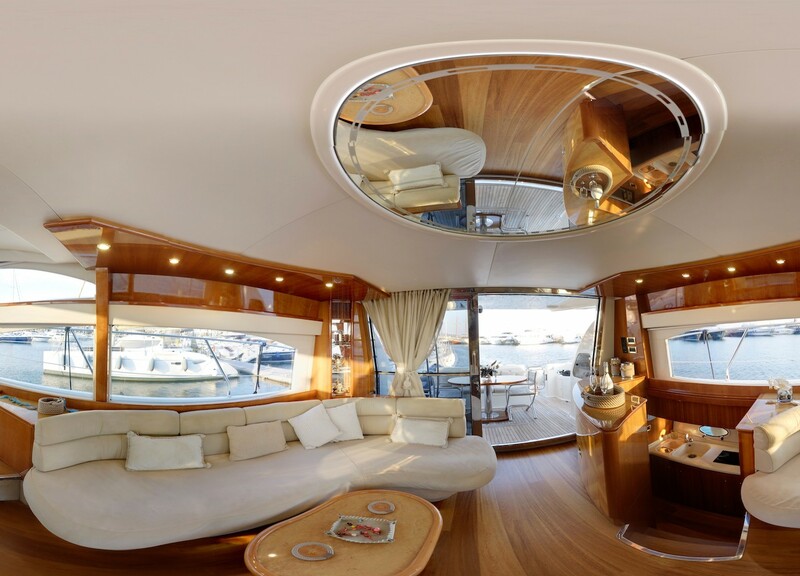 The salon and dining is a social open plan with surrounding panoramic windows. 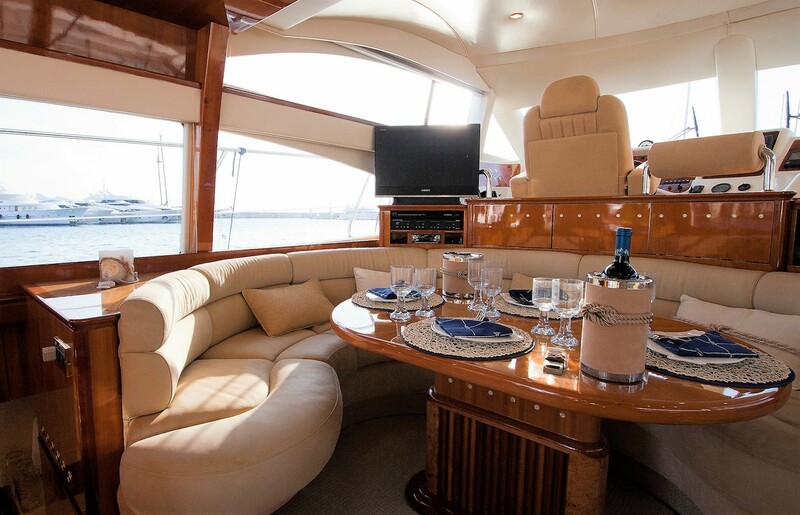 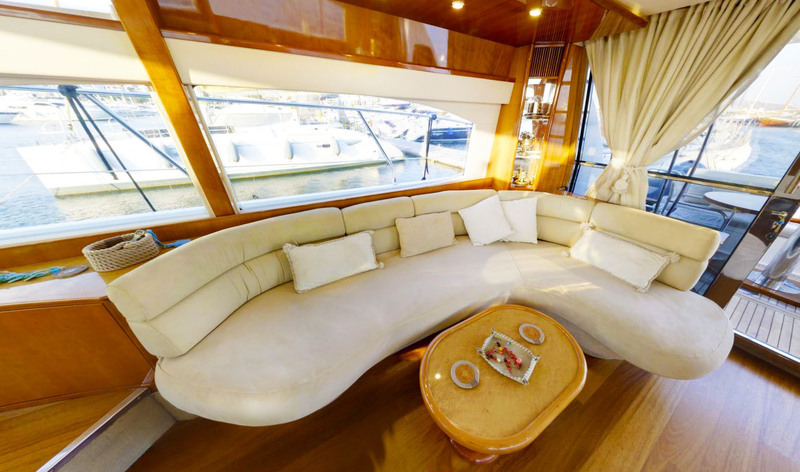 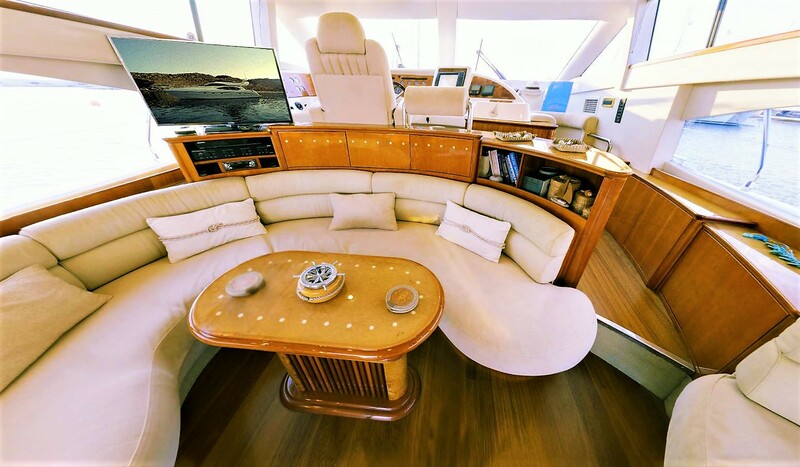 On the starboard side is a generous sofa and coffee table, while to port is a formal dining space forward and complete wet bar aft. 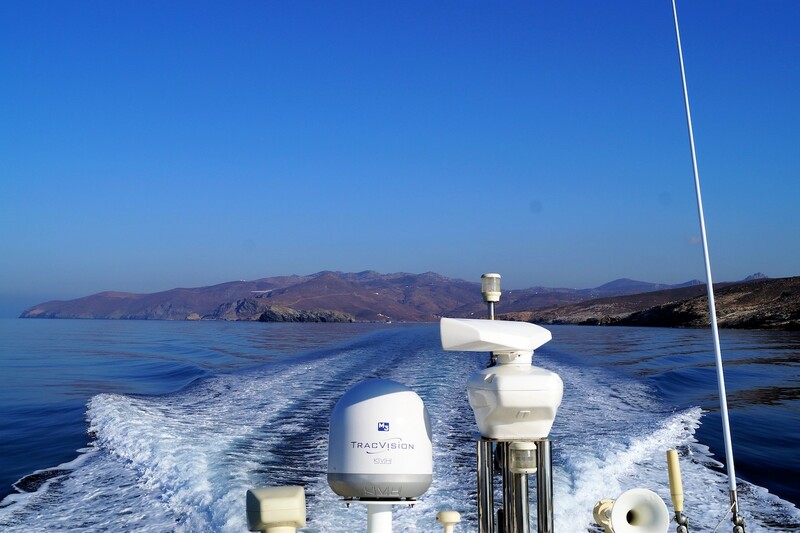 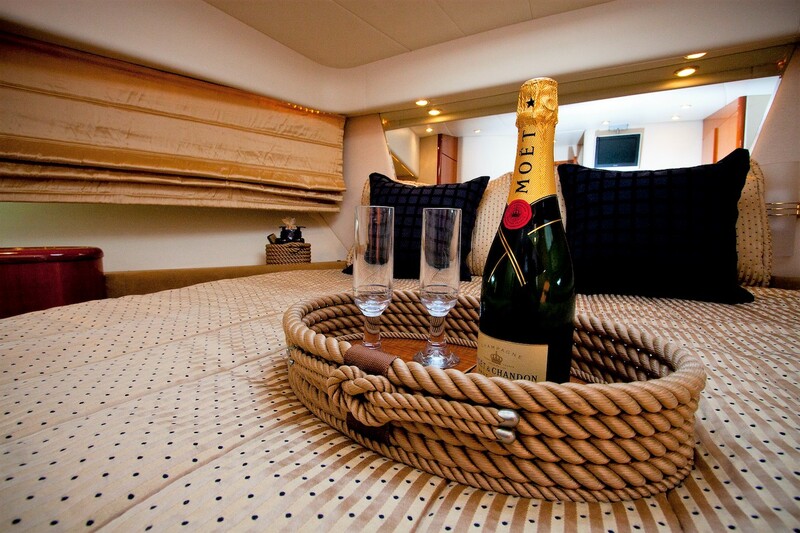 Guest accommodation is below decks, in 3 well-appointed cabins. 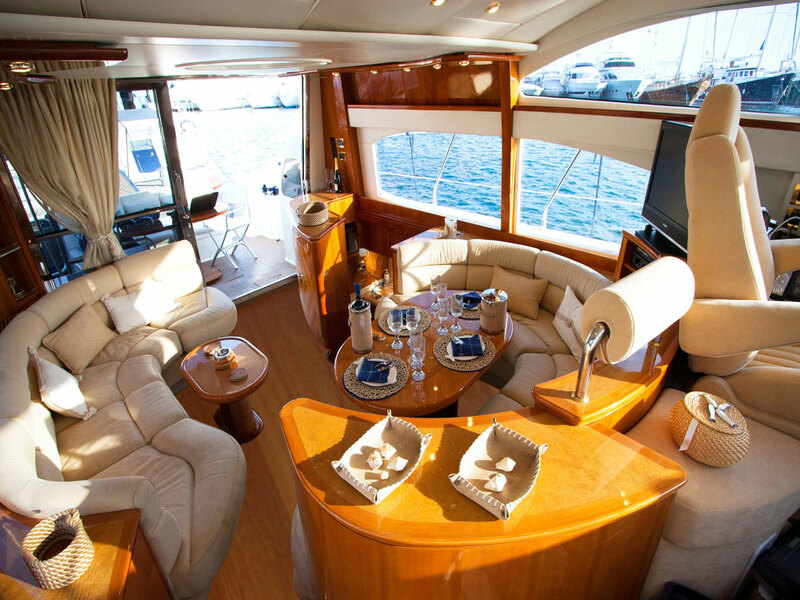 Motor yacht AVENTURA II is a flybridge design, providing fabulous exterior living options. 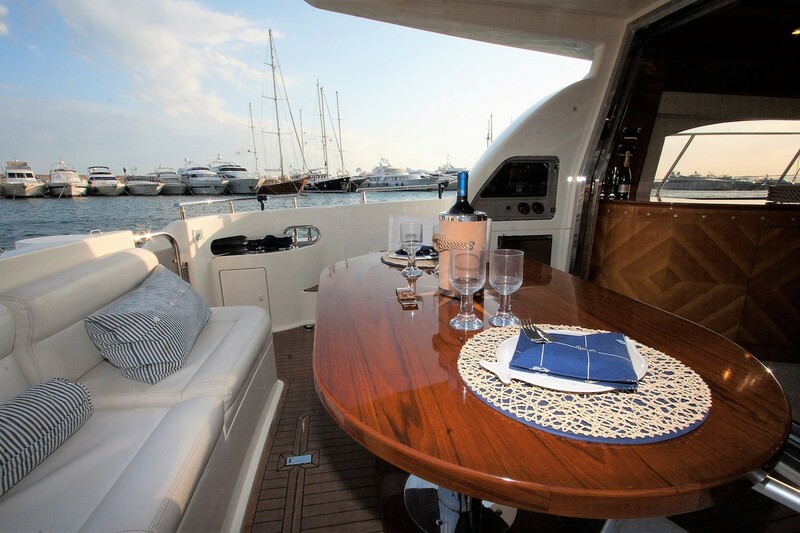 On the aft deck adjacent to the salon, is a shaded alfresco dining option and additional seating. 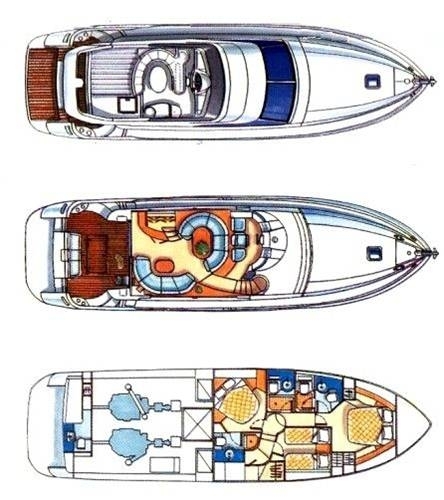 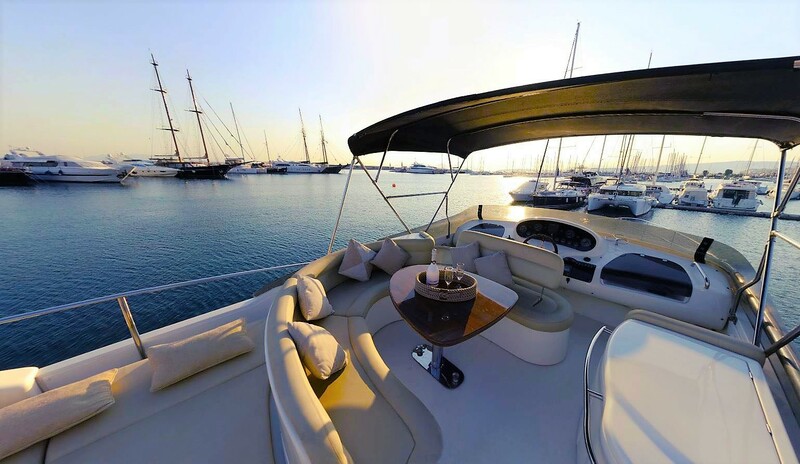 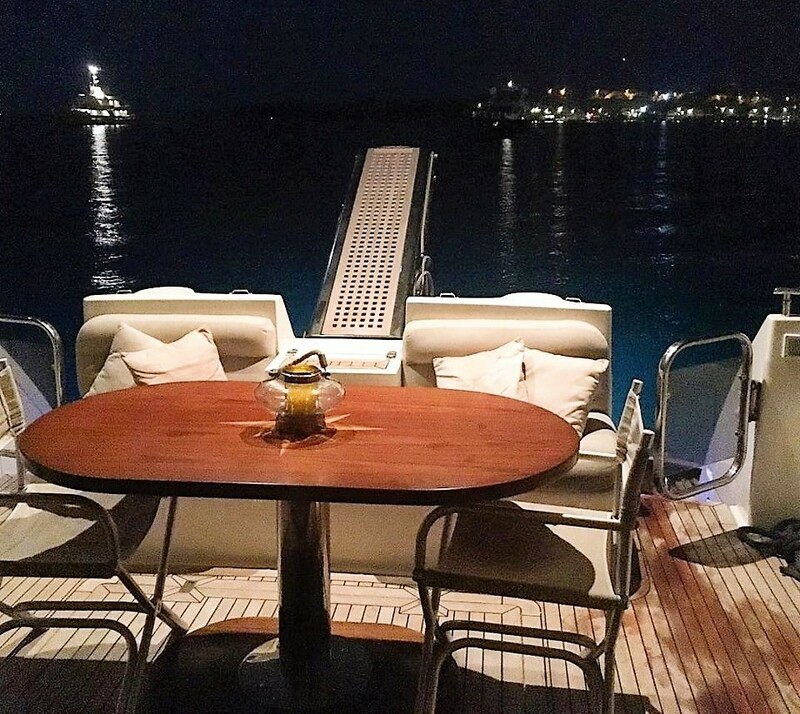 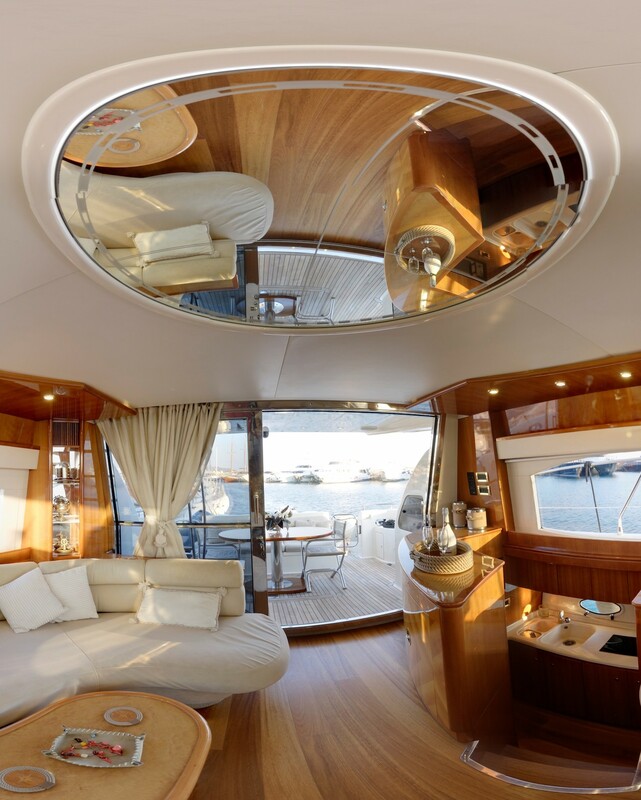 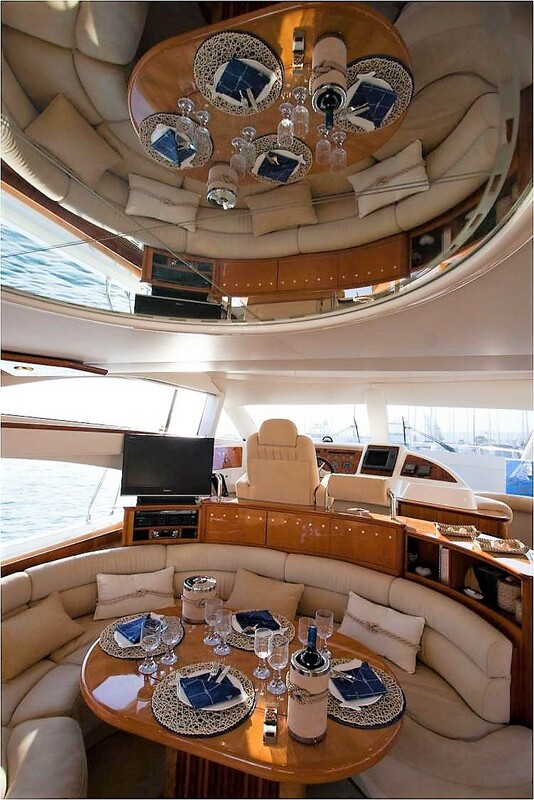 The main deck wraps around the yacht, leading to a capacious foredeck, where a double sunpad will entice the sun lovers. 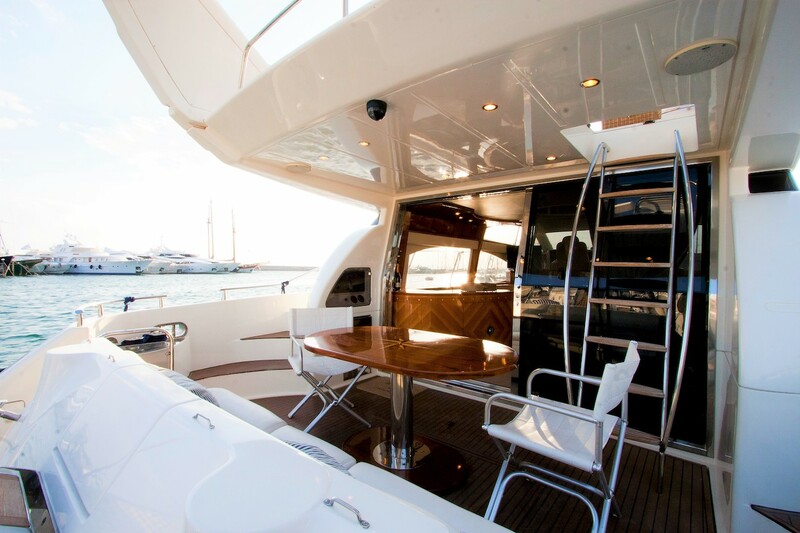 On the upper deck, a further sunpad, alfresco dining option and BBQ/Bar area make for an ideal entertaining spot. 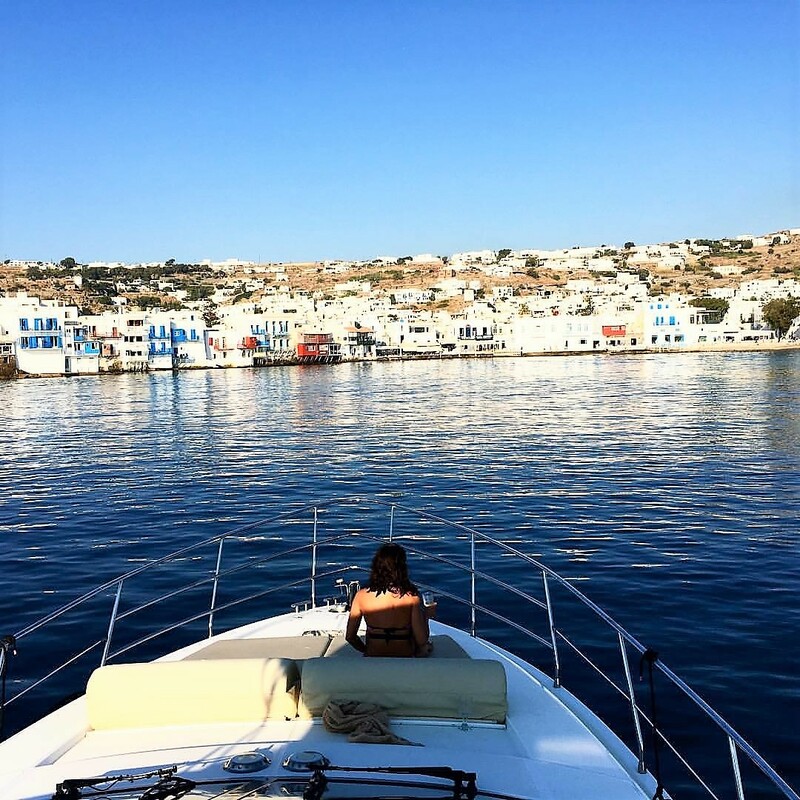 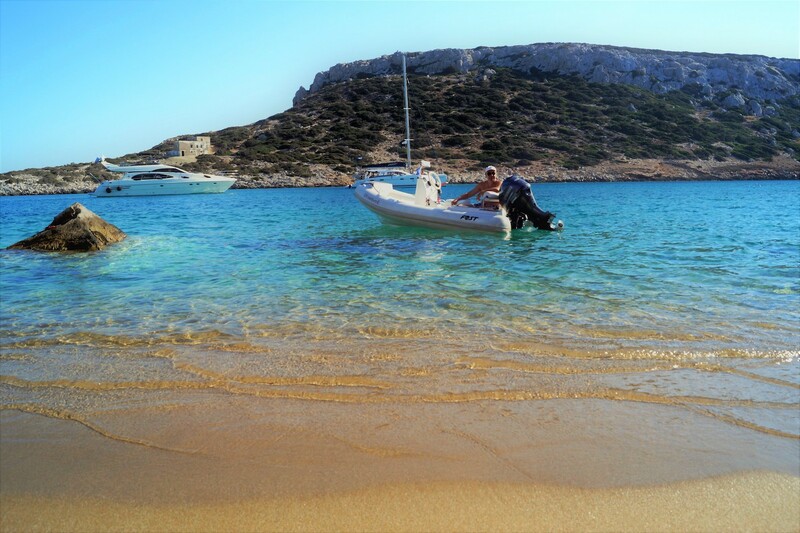 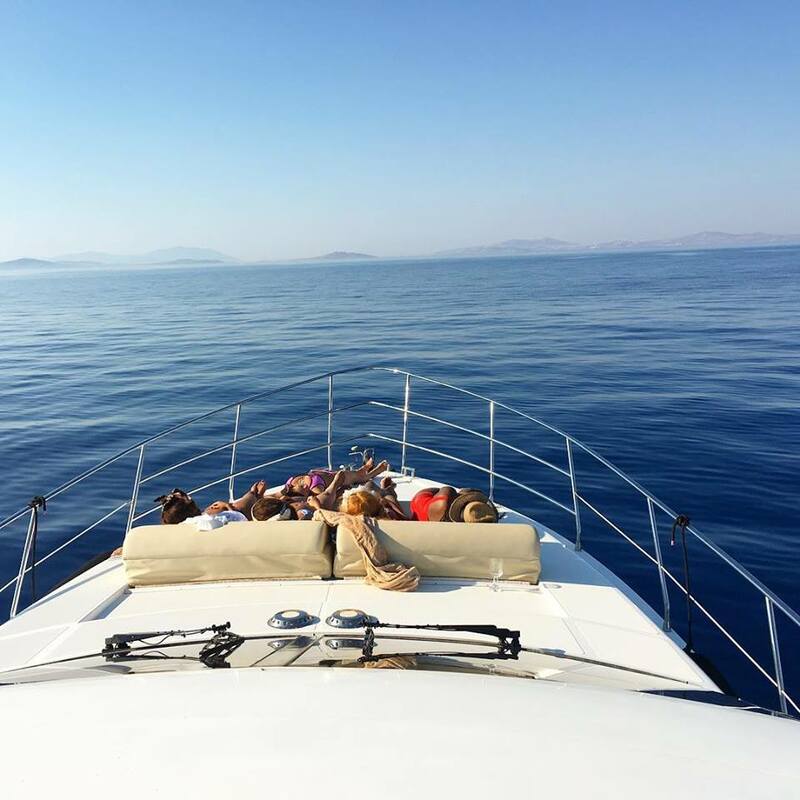 Guests who wish to take advantage of the pristine waters of the East Mediterranean will find the extended swim platform perfect. 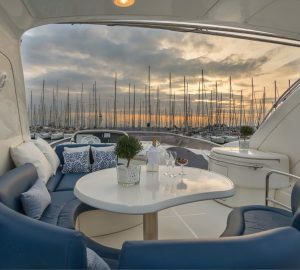 The luxury Azimut 58 AVENTURA II accommodates up to 6 guests, in 2 double (Master and VIP almost identical in size) and one twin cabin. 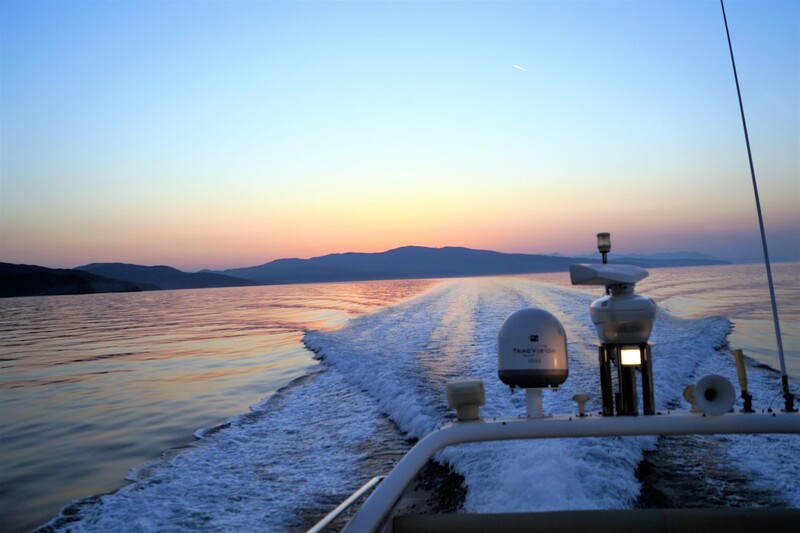 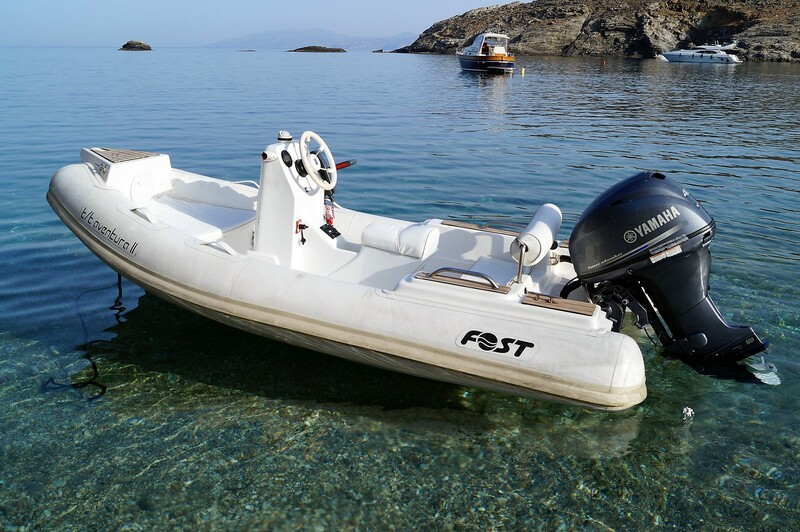 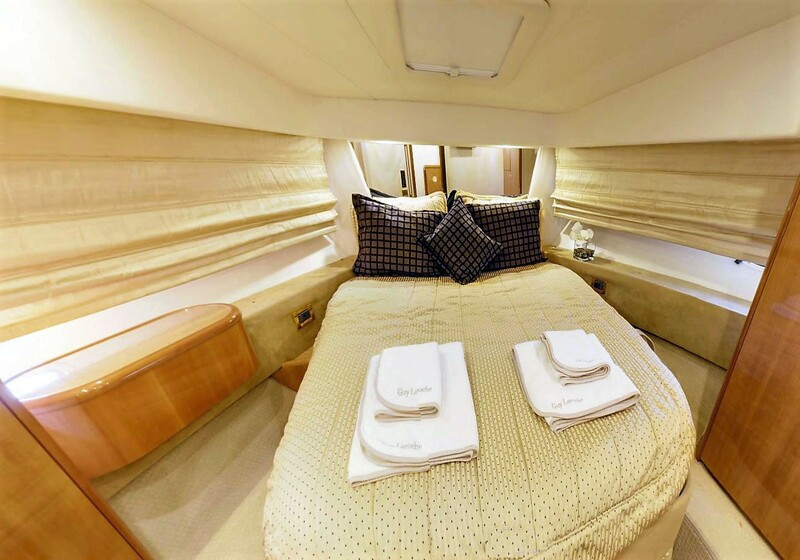 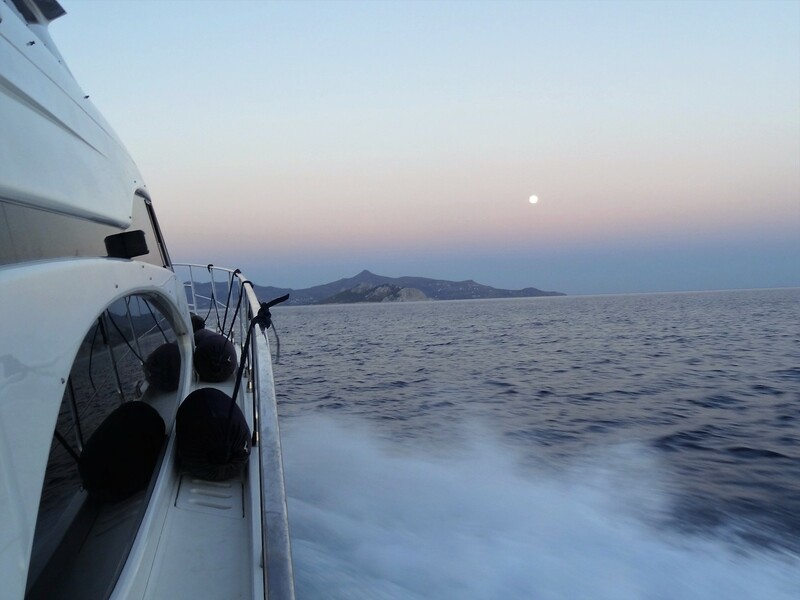 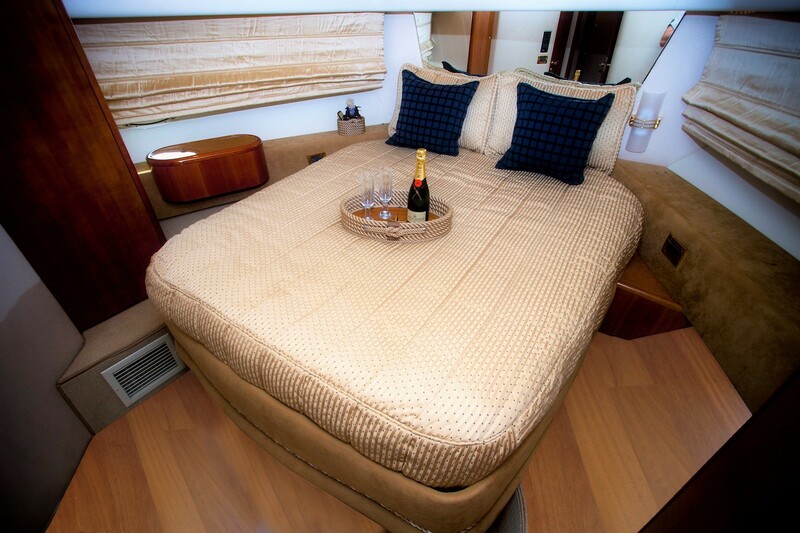 Forward and full beam of the yacht is a double cabin with double bed and en-suite facilities. 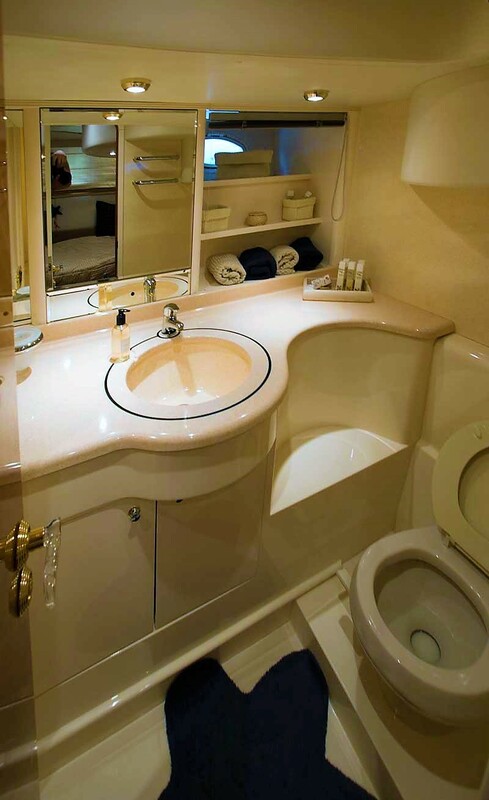 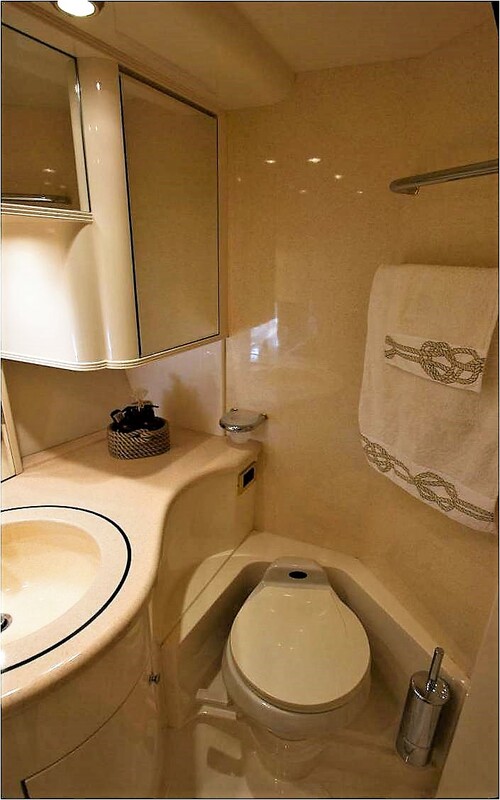 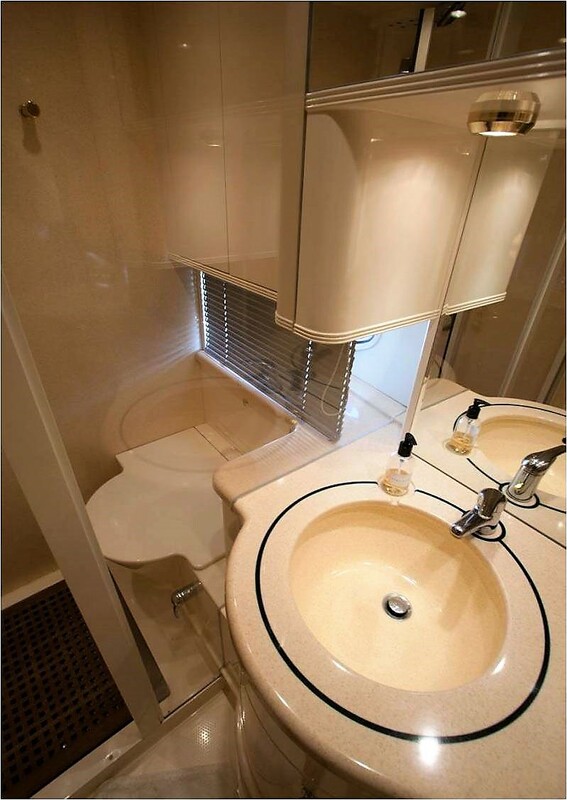 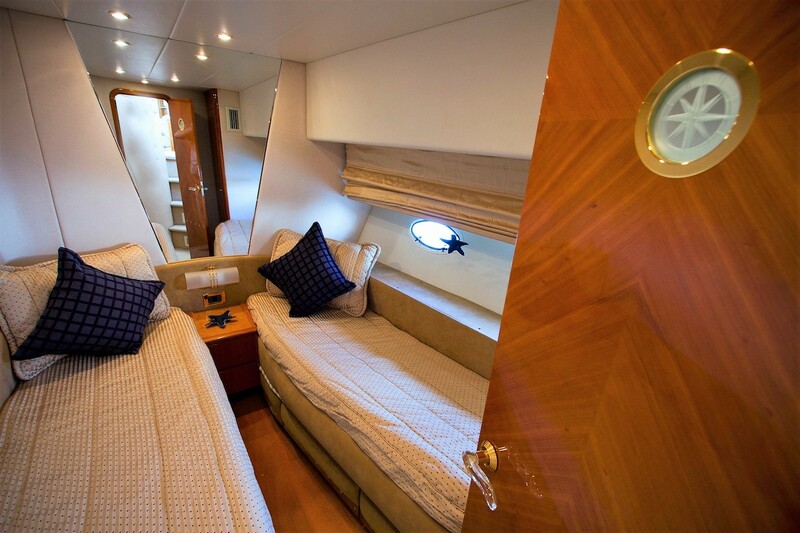 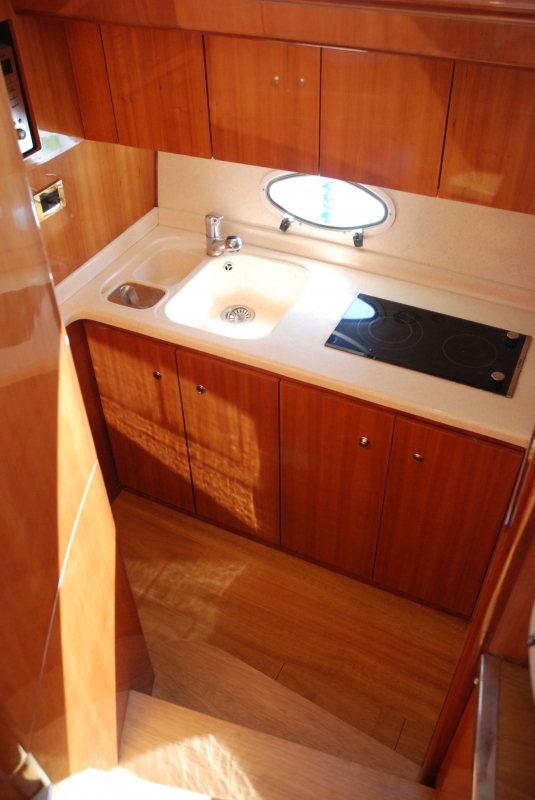 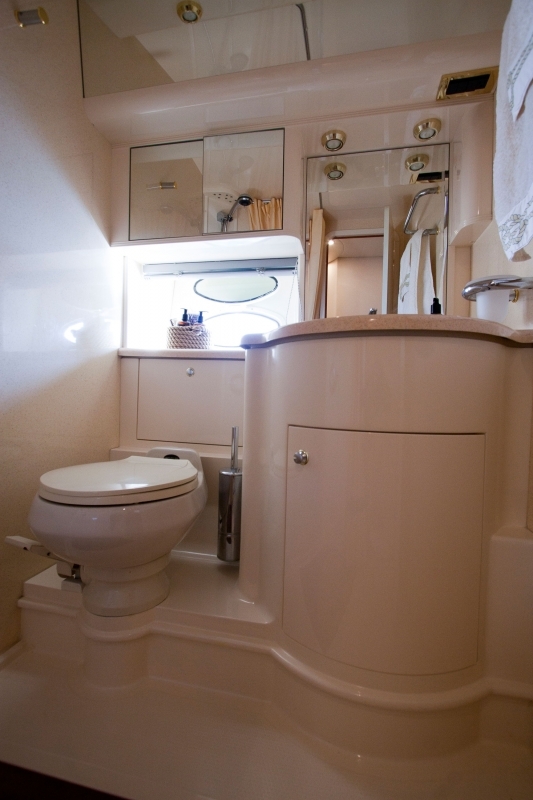 On the port side amidships is a guest double cabin, with en-suite facilities. 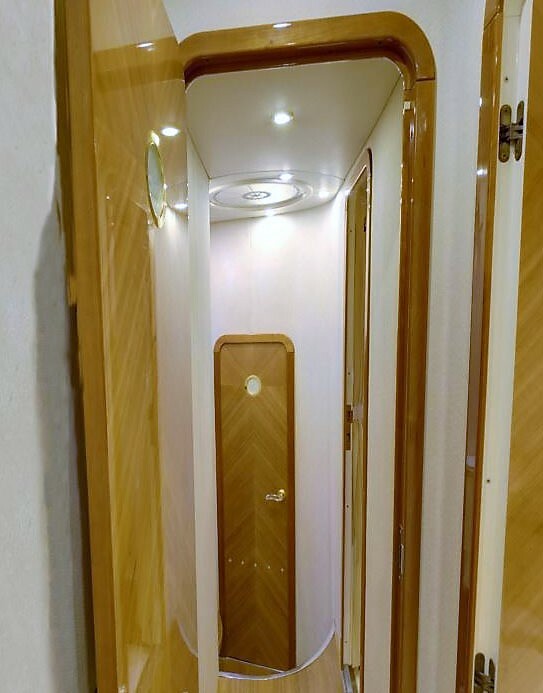 A guest twin cabin has side by side single beds and easy access to a day head with shower. 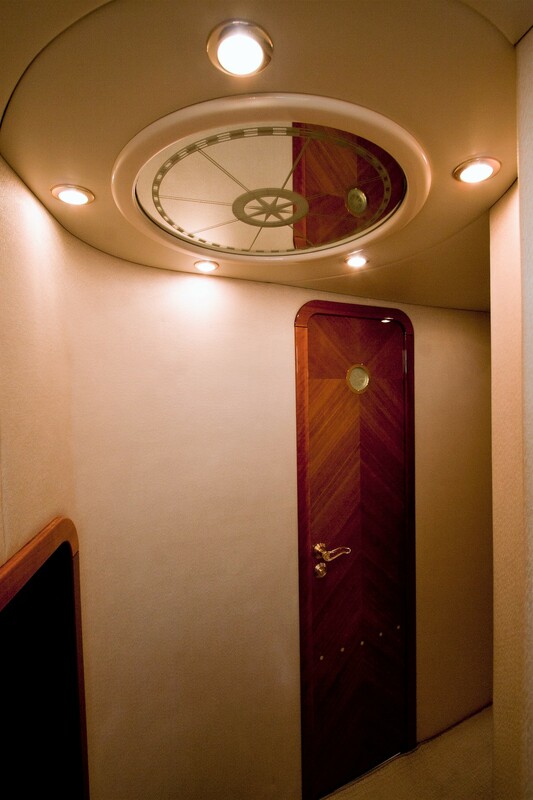 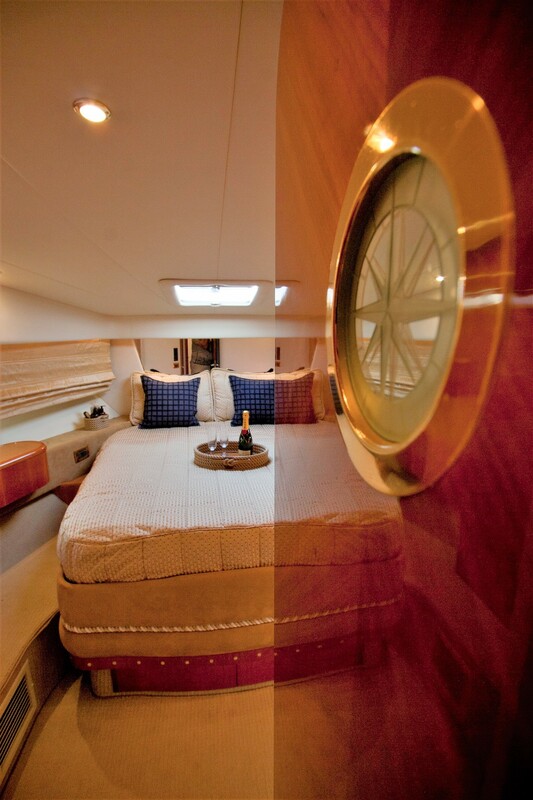 The 2 crew on AVENTURA II have separate quarters. 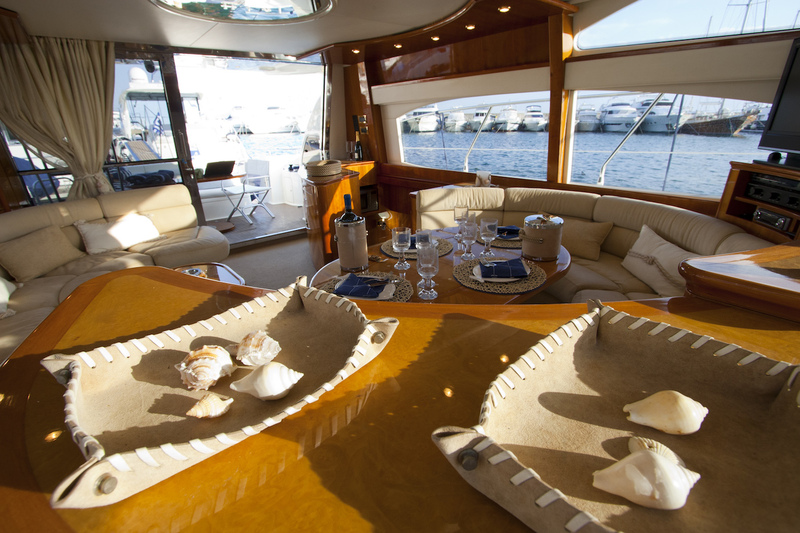 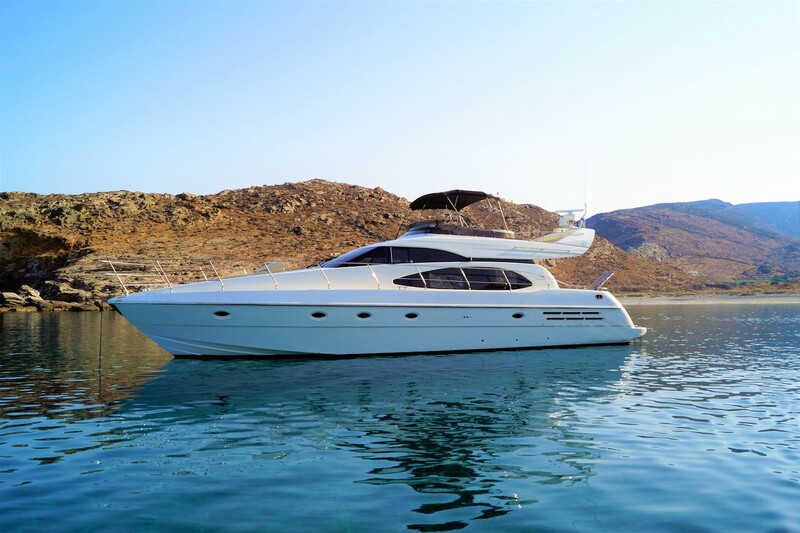 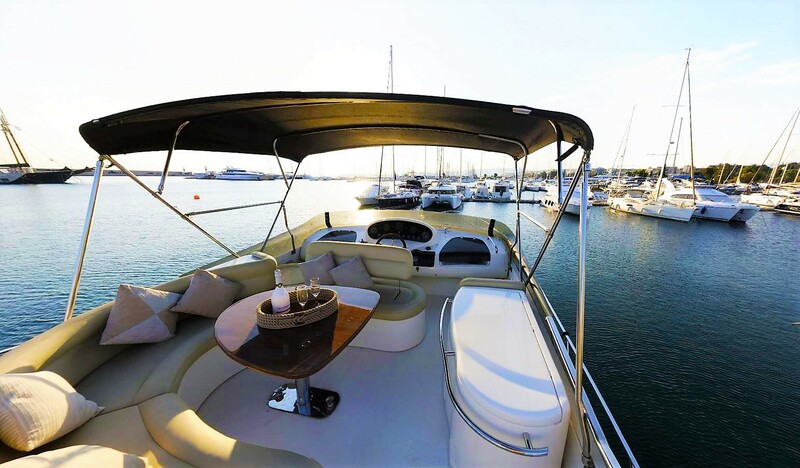 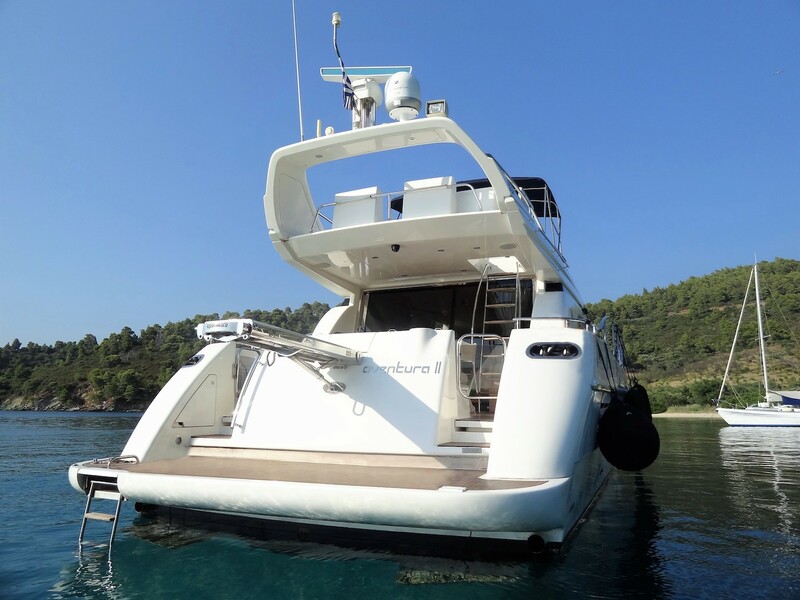 M/Y AVENTURA II is fully air-conditioned throughout.